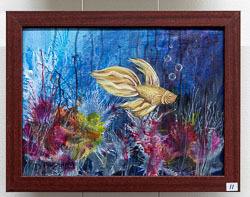 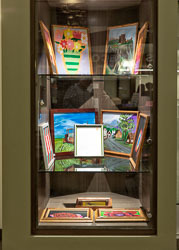 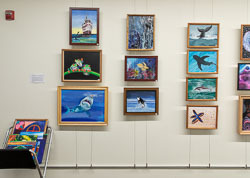 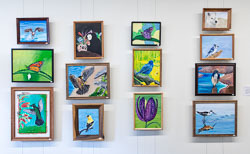 Paintings from Sierra Conservation Center - 2019 Feb. 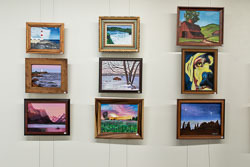 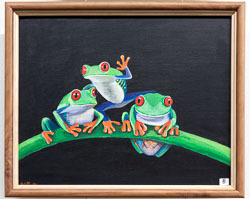 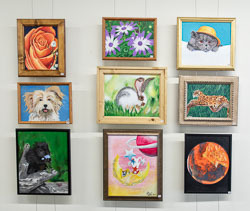 These paintings are from an Arts and Corrections class at Sierra Conservation Center. 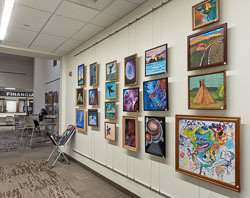 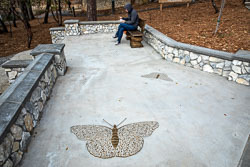 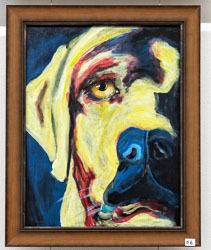 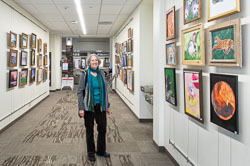 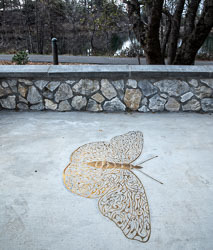 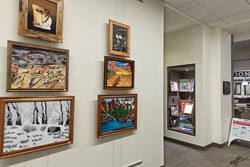 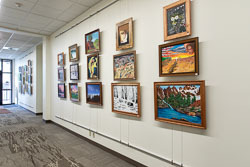 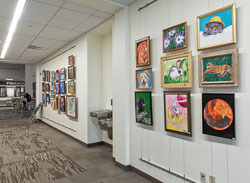 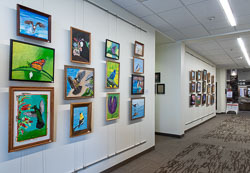 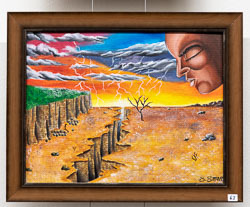 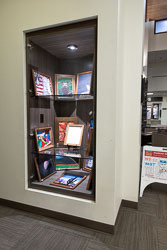 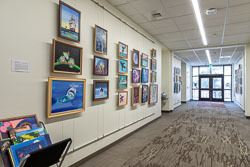 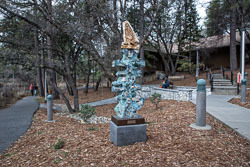 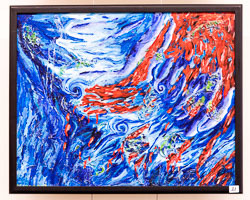 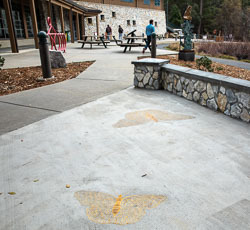 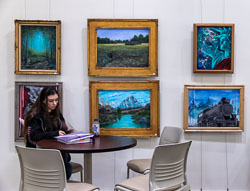 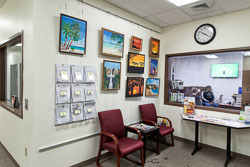 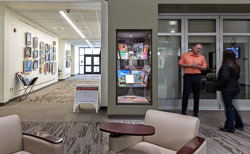 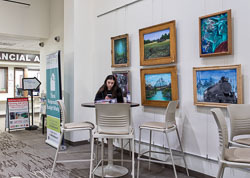 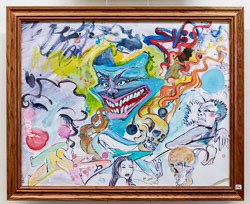 The exhibition, at Columbia College in Sonora, California, was mounted by the painting instructor Stacy Hay. 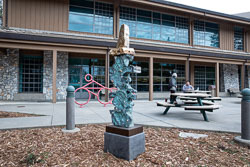 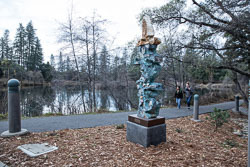 The outdoor sculptures are the work of Sherman Hay, the late husband of Stacy and a former Arts in Corrections instructor.